We love branding. It’s at the core of everything that we do here at Spaghetti Agency. When a postgraduate student called me and asked to interview our agency I was quite chuffed. Polly loved what our brand was doing and asked to interview us as part of her studies. 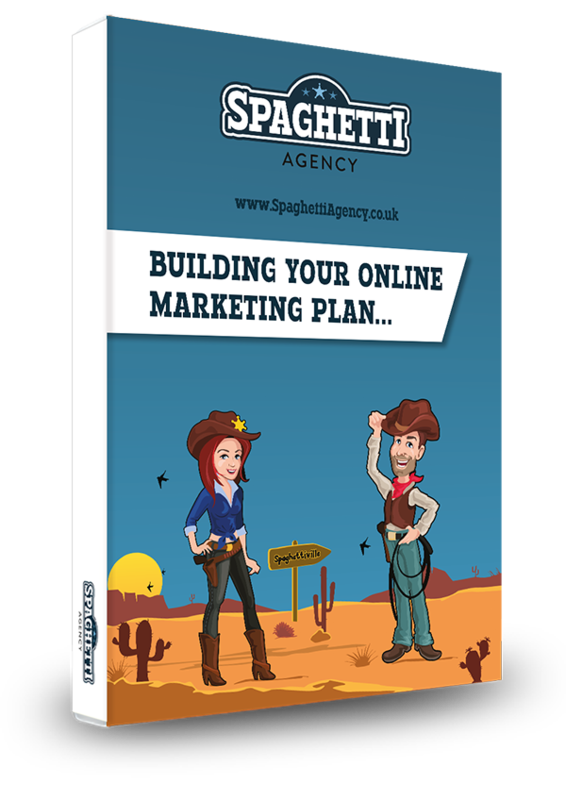 Fast forward a few months and Polly is now in the Spaghetti Agency office working on our brand and now blogging about branding on our blog! So, this week on the blog It’s over to Polly Holden as we ask her “What’s a brand and why does a small business need one?”. Brands are intangible, and maybe that’s why people don’t know what they are and why they’re important. We subconsciously create emotional attachments to brands, and you can imagine how complex our emotions are; no two people will have the exact same emotional connection with a brand, hence why the definition of a brand may vary. A brand is who you are, your behaviour and your values. 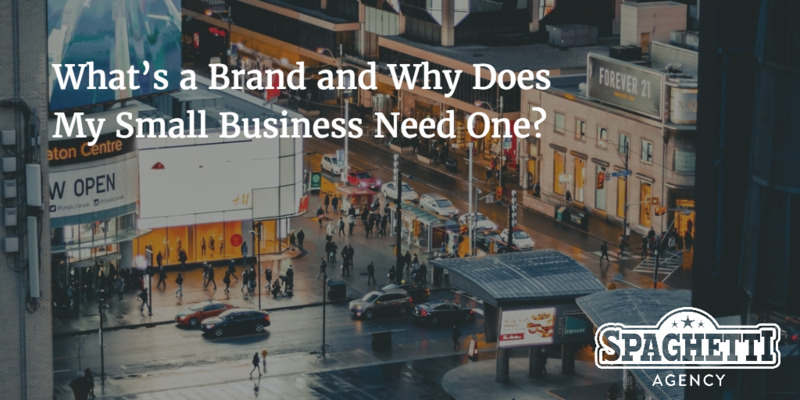 Rather than thinking the brand represents the business, try and think in terms of the brand representing the purpose and values. A brand is a public image and it is how people perceive your business. Invest in your brand and you will be more able to guide how you are perceived rather than leaving it completely up to the interpretation of others. 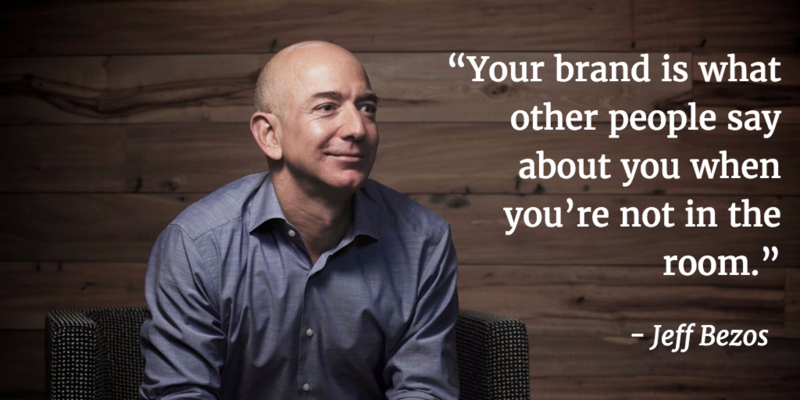 I often use this quote by Amazon founder, Jeff Bezos, to describe a brand. What do you think people would say about your brand and why? Your brand is who you are; marketing is your message. Be authentic. Start with why and use the 5 Whys technique. For example, the first why could be “Why did I start this business?” Then ask another why in response to the answer. Needless to say you need to ask why a lot! Brands come first, marketing second. You have to know who you are because that informs how you communicate with your audience. Knowing your brand helps to keep consistency that in turn creates reliability. Creating a brand strategy will make the marketing much easier. A brand strategy is not a timeline; it’s a cycle that needs iteration built in. A brand cannot be completed, even if there are static elements. The brand as a whole should be reviewed periodically. You control your marketing; your consumers control your brand. 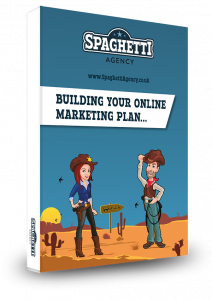 Marketing is measureable, you can post on social media and analyse the effectiveness. Being able to measure your activities is essential to knowing whether you’re on the right track. Consumers control the brand with their memories and stories of their experiences. Make sure you give your customers something good to talk about! Customer feedback is invaluable and helps you to understand them; use this insight to inform your brand and marketing strategies. Your purpose is to make sales, right? Sales are important, and this is addressed with marketing. Brands are all about the emotional, intangible connections. Your brand purpose should not be business orientated but human orientated. IKEA’s brand purpose isn’t ‘to make affordable furniture’ but ‘to create a better everyday life for the many people’. It’s a customer-focused purpose that’s appealing and accessible. Airbnb’s purpose statement is to ‘belong anywhere’; belonging is a human need, and their idea of belonging was to oppose the idea of being a tourist and instead draw upon customers’ want of engagement with locals and culture. It’s important to have a consistent image. Visually and verbally, internally and externally. Your brand identity is your logo, name and packaging design. Identity is also about your tone of voice. A few months ago I was interviewing social media experts for my degree. I spoke with an award-winning agency in London that works with local and global brands, and they said the big brands came to them because they wanted to behave more like start-ups and SMEs. It is essential to ‘speak like a human’; no one wants to listen to corporate speak. Remember, your brand is who you are, you are a person and your brand identity and communication should reflect that. The Innocent brand has a truly authentic feel; they are very friendly, fun and chatty. One of their values is ‘be natural’, and they state on their website how this is part of their brand identity by saying it’s not just about their products but also about being natural in how they treat each other and how they speak to everyone – colleagues, drinkers, customers, suppliers, etc. Essentially it means being the best version of themselves. Expectations are continually on the increase. If a consumer has had a fantastic experience with one brand, that will become the minimum expectation for the entire industry. How long would you wait for a taxi? Five minutes? 10 minutes? 30 minutes? Just a few years ago we were all waiting 30 minutes or more for a taxi, and that was okay, we expected it. Today we expect five minutes or less, thanks to Uber. Uber is an example of a company improving our experiences and changing our expectations. It’s a good idea to research the expectations of your industry and other industries to know whether you are meeting the minimum expectation of the consumer experience. How do your customers experience your brand? Are they greeted on the phone the same way they are addressed over email? Do you use the same tone of voice on your website? Experience is a big topic for brands at the moment, and it should be a big consideration for you too. Thanks Polly. Thanks for calling us and thanks for all the work you’re doing on our brand too. It’s more than just a logo! What you think? Post your comments below and I’ll make sure Polly gets them! Love this from Polly. Especially the distinction between what your brand is as a person and the emotional connection and the job of marketing. I think we all struggle a bit with this and it’s great to have some rules you can apply around this. Thanks. Thanks Adrian. She’s certainly got it right, hasn’t she.